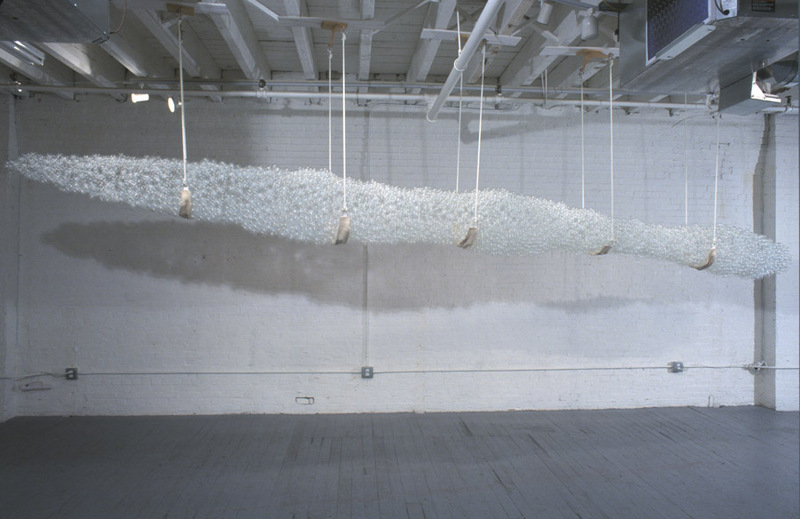 “Dewpoint”, 2003, 10’x19’x22″, glass, silicone, felt, wood, rope, hardware. Form is based on an orographic cloud formation, a type that forms over mountains or cities where convection prevents airlift. 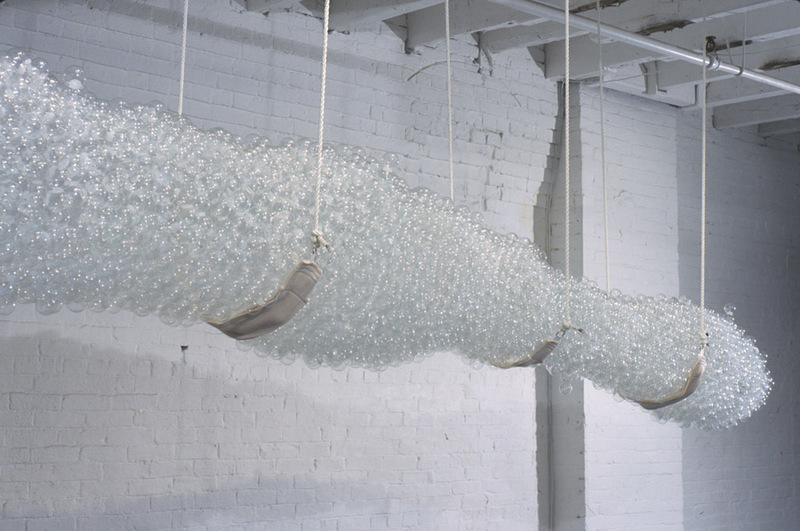 Silicone glue holds together 7000 blown glass spheres. The form hangs from wooden brackets that support felt covered slings.